Mohammad Hafeez earned a late inclusion in the Pakistan Test squad that will take on Australia after months of being overlooked. A new UAE T20 League promises to be a unique development platform for regional and international players alike. 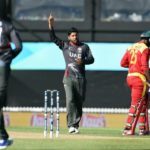 A remarkable three-run D/L win by the United Arab Emirates has all but crushed Zimbabwe’s hopes of going to the World Cup. Who will qualify for the CWC? 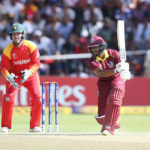 Zimbabwe were unable to seal their place in next year’s World Cup on Monday, but with one game left to play, their fate remains firmly in their own hands. Hosts Zimbabwe made it two wins in their World Cup Qualifiers as they beat Afghanistan by two runs in Bulawayo on Tuesday. 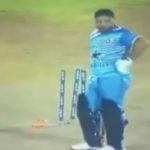 Watch this bizarre footage of an All Stars League match in the UAE. 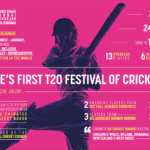 In another assault on the tradition of cricket, a 10-over competition is set to be launched in the UAE in December. Big-hitting Kevin O’Brien hammered 50 off 25 balls to get Ireland back on track and eke out a two-wicket win over the UAE with four balls to spare.